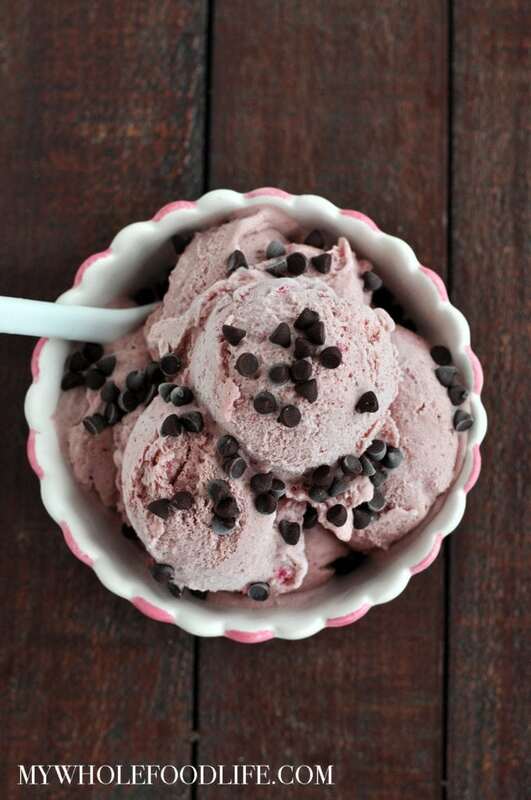 Healthy Strawberry Banana Ice Cream. If you need a super simple frozen treat to whip up, I got you covered right here. This healthy nice cream recipe is vegan, gluten free and paleo! All you need is 3 simple ingredients. The chocolate chips are an optional add on. Another great thing about this ice cream recipe is that you don’t need an ice cream maker to make it! Anyone can make it as long as you have a blender or food processor. Easy peasy. If you wanted to make this recipe nut free, you can use sunflower butter instead of cashew butter. You may have to add a little milk to get the mixture super creamy. We filmed a short video for this recipe. You can see it below. For more videos, you can subscribe to my You Tube Channel. 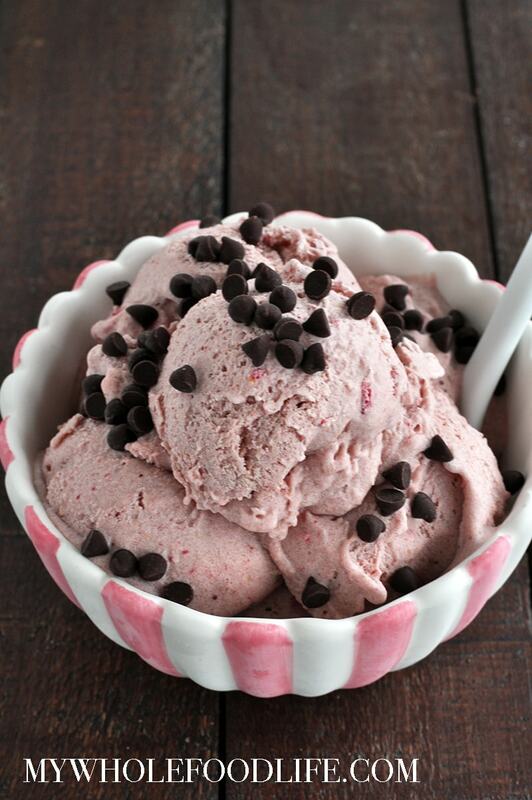 All you need is 3 simple ingredients to make this healthy strawberry banana ice cream. Vegan, gluten free and paleo. In a food processor , combine the bananas, berries and cashew butter. Blend until smooth. You may need to add a little almond milk to blend easier. Transfer to a loaf pan and place in the freezer for 1 hour to finish firming up. This should last several weeks in the freezer. Enjoy! Yay!!! So glad you liked it!